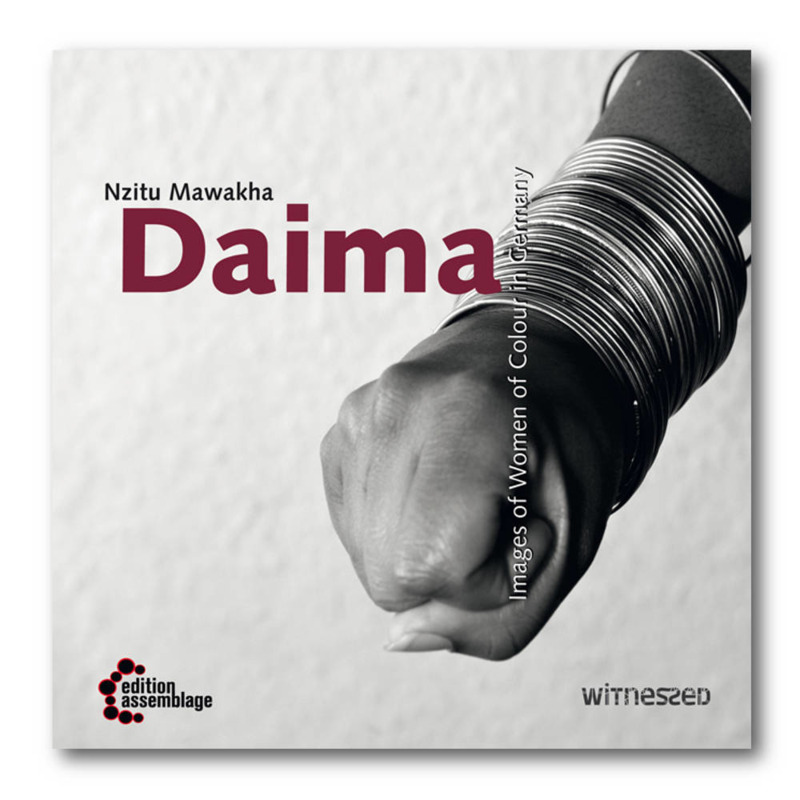 Daima is a collection of selected black and white photographic portraits of inspiring Black women who live and work in Germany. From intimate representations of two ladies confiding in each other, through lively group pictures of sistahs together, to beautiful individual portraits: this book captures their interactions in a variety of settings. Afro-German photographer Nzitu Mawakha (1973-2014) presented a unique collection of striking images and combines these with texts, where the women portrayed focus their gaze on the reader-viewer and where the women portrayed are the ones to ask the questions. Nzitu Mawakha was a photographer and active member of the Initiative of Black People in Germany (Initiative Schwarze Menschen in Deutschland (ISD-Bund) e.V.). Born in Arusha, Tanzania and raised in Cologne, Germany, Nzitu Mawakha worked on diverse projects since 1998, including employment as an assistant to the theatre photographer Mara Eggert at the Schauspielhaus Hannover, and a period of engagement as a photographer for the exhibition »Superficial - Fragile Terrains in Glass«, which showed the latest work of the Finnish designer Anu Penttinen. Before 'Daima', Nzitu's most recent position was as a team photographer for the 'Homestory Deutschland' exhibition financed by the Federal Agency for Civic Education (Bundeszentrale für politische Bildung). Nzitu Mawakha died in Berlin on August 8th 2014.